Our main goal is to breed puppies that are healthy, have a good sound temperament, and meet breed standards. I do tend to lean towards working dogs. This breed was developed to have a good work ethic and we are trying to hold true to that. All of our puppies are raised with Puppy Culture to give them the best start to life. Two of the things we look at when planning a litter are the COI and AVK. The COI (coefficient of inbreeding) shows how diverse the pedigree is with different ancestors. It calculates the percentage of inbreeding based on the number of times the same ancestors are found in the pedigree. The higher the number the more shared ancestry the dogs have. The AVK (Ancestor loss coefficient) is also known as the pedigree collapse. I’m keeping the numbers small to make it a bit easier for me to explain. A dog has 6 ancestors in 2 generations. When you look at breeding two dogs together, you are looking at 12 ancestors. If they overlap by two ancestors, now there are really only 10 ancestors instead of 12. The lower the number, the smaller that dog’s family tree is. So, you want your COI as low as you can get it and the AVK as high as you can get it. It’s important to look at both the COI and AVK so that you are seeing the whole picture. Line breeding does have its place, but with such a rare breed, we are working hard to maintain diversity in our lines. So we aim for a COI close to or below 3% and an AVK close to or over 90%. I consider myself lucky to be apart of the CsV community and I plan to work hard to help preserve and see this breed flourish. Therefore, I am working with the CSVCA, FCI, and other reputable breeders from around the world to insure a good breeding program here in the United States. 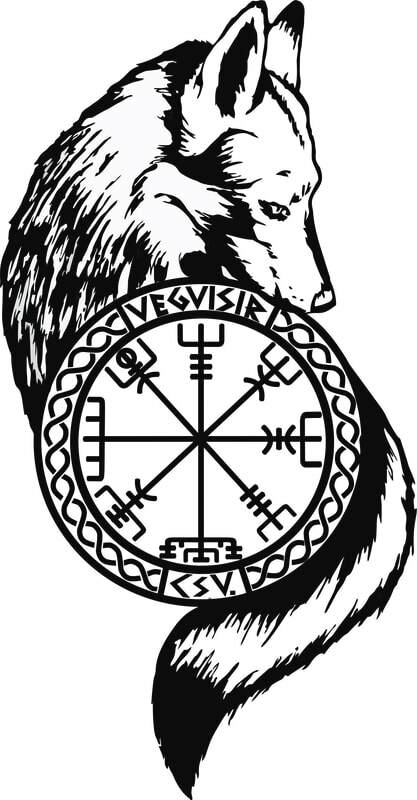 Litters here at Vegvisir will have papers from the UKC and FCI recognized club. Unfortunately our litter plans for early 2019 did not go according to plan. We are already working on our plans for a late 2019/early 2020 litter. Check back for updates.